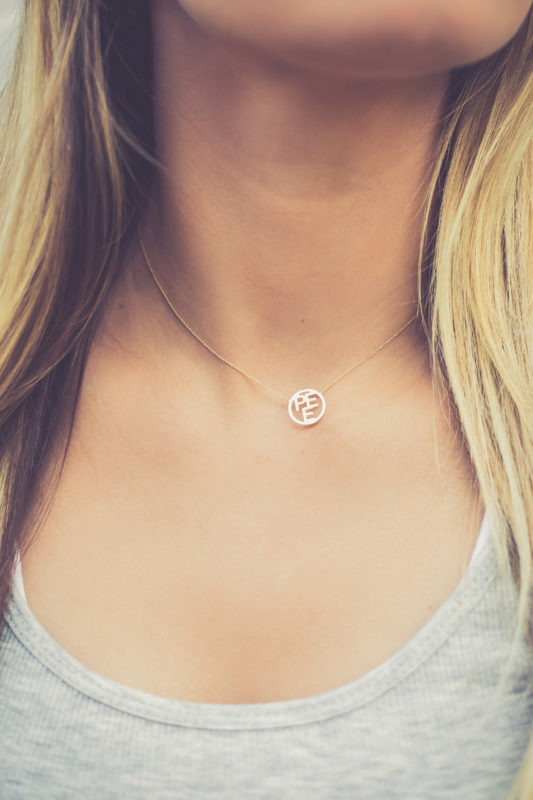 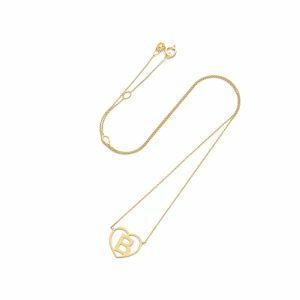 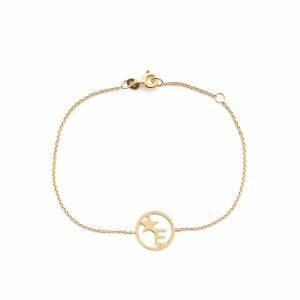 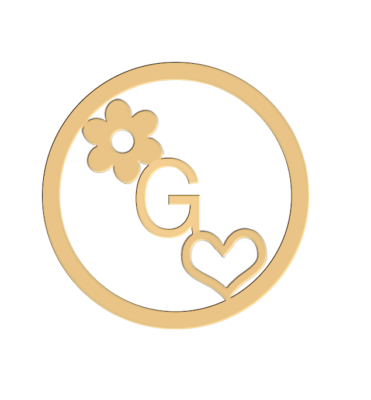 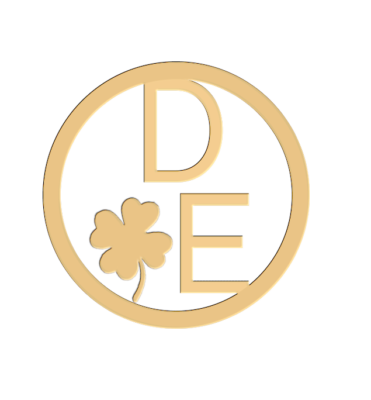 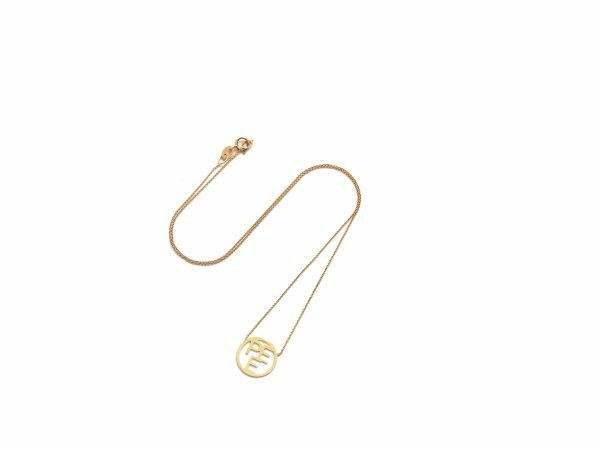 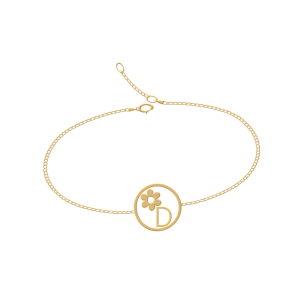 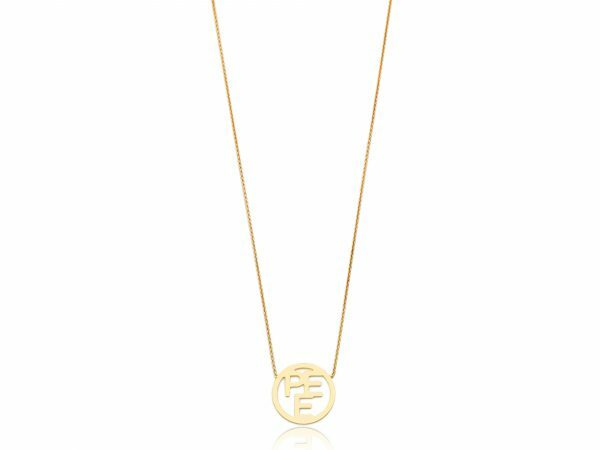 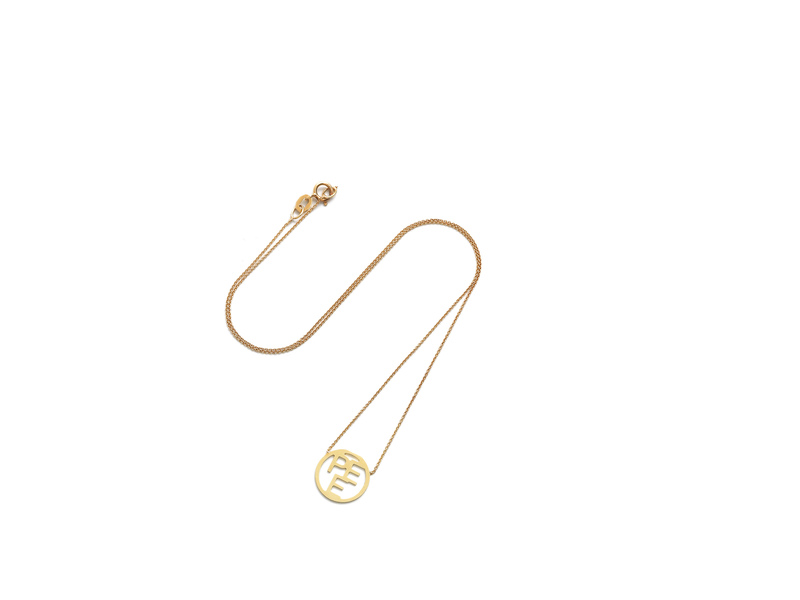 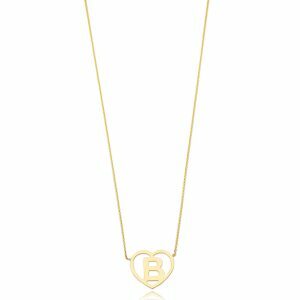 This simple yet striking necklace features a solid 14 karat round gold Charm “Embraced” by three initials or symbols of your choice with a reflective finish. The charm measures 1.3 cm is 0.5mm thick The necklace measures 42cm with eyelets at 40/38cm that allows you to adjust its length. 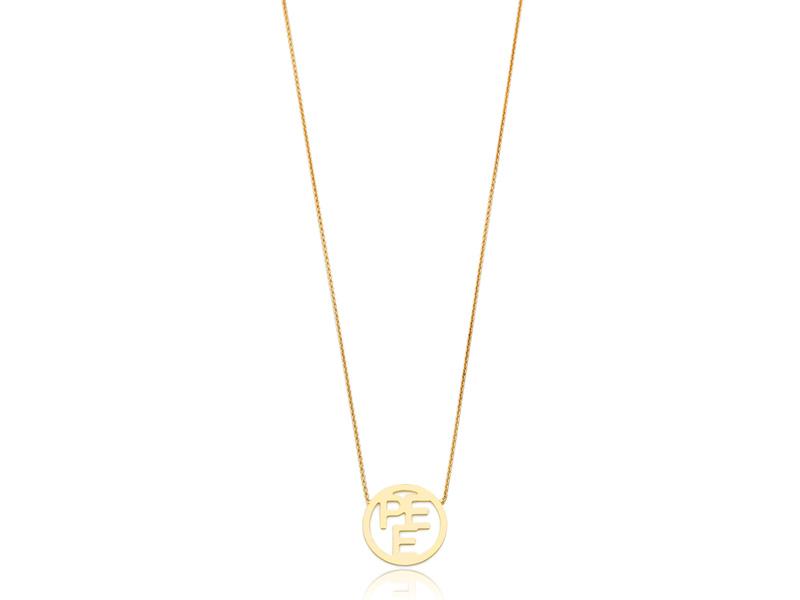 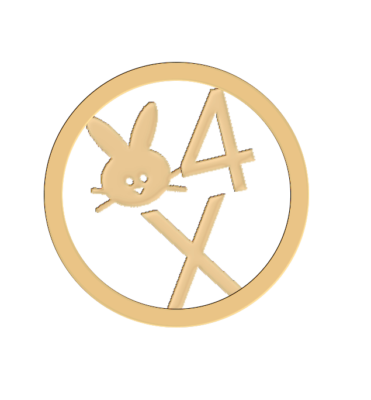 The necklace comes in three gold colours; white gold, rose gold & yellow gold. 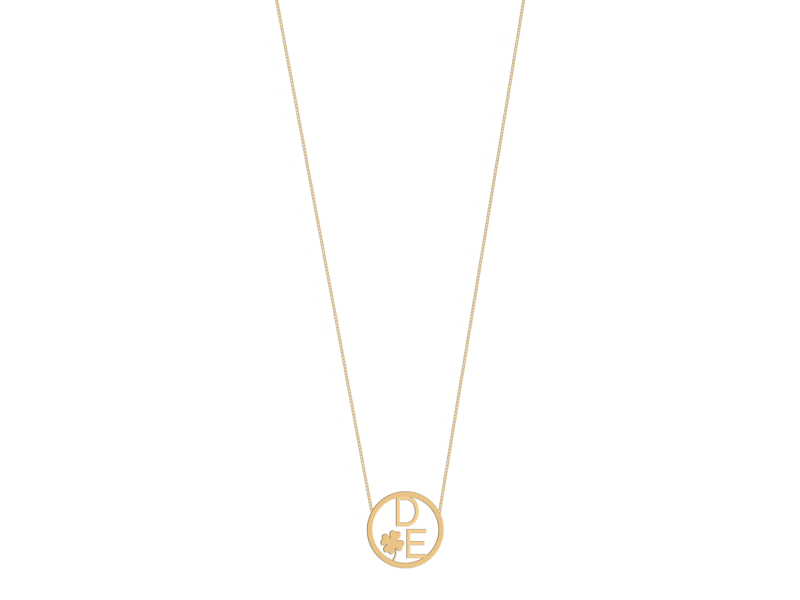 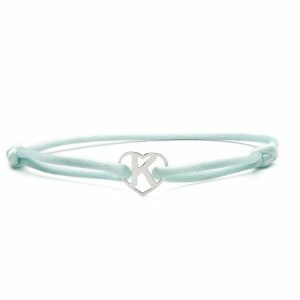 Wear with other pieces from the Triple the Love collection to complete the look.